It’s hard to know what changes can be made to help lower your bills, but help is a just a phone call away. The local electric company is happy to assess your needs, family lifestyle and patterns of energy usage. They will go through your home to check for areas to be improved. They will survey your appliances, inspect the home’s structure, and measure your insulation. Once done they will make suggestions and help implement needed changes for more efficient energy consumption. Often times the suggestions will come with rebate incentives that will help reduce your bill. Whether you are in a new house or an older one, drafty windows, doors and attics will allow air to sneak out and along with it heat. It is important to seal up any air leaks to keep heat inside. 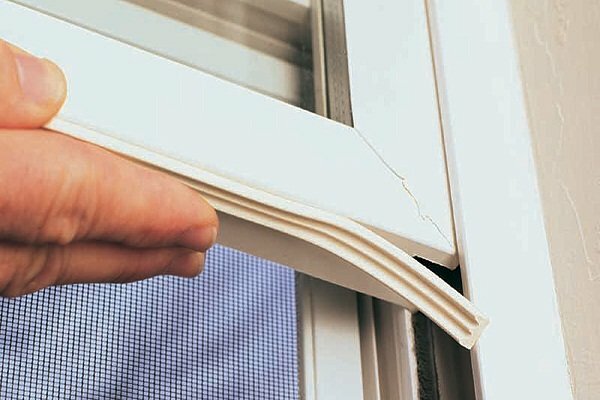 Start by checking the weather stripping around your windows and doors; replace if it appears worn. Next, check for any leaks where hot air can seep out into an unfinished attic space. Cuts made into the drywall to install lighting fixtures and ceiling fans create easy escape routes for air too. Seal the openings using a silicon or latex caulk. By sealing air leaks, you can realize about 30 percent in energy savings. It is very tempting to set your thermostat for a comfortable 75 degrees during the winter months, but it is a sure-fire way to boost your energy expenses. The lower the setting, the more savings you will realize. The commonly agreed upon lowest comfortable setting is sixty-eight degrees. If you keep it at 68 during the day, your savings can be 6.2%, and for every degree above that, costs will go up. For example, a room that is 75 can cost 15 percent more. While 68 may seem chilly, you can always wear a sweater and comfortable socks to stay warm. 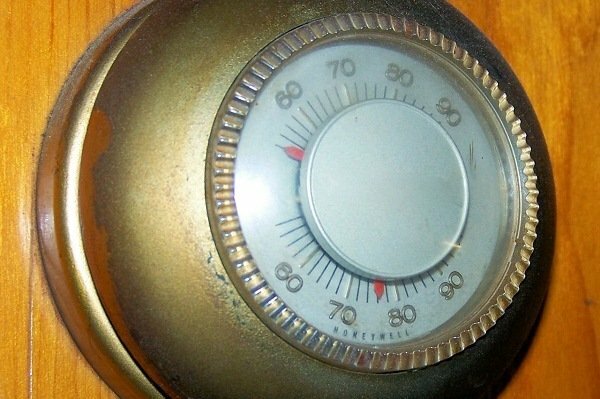 Setting the thermostat at 62 overnight will also save on your energy bill. If you leave for a few days, turn the temperature down to 55, which is the lowest setting without the pipes freezing. Insulation is perhaps the most important feature to keeping a home warm in the winter and cool in the summer. 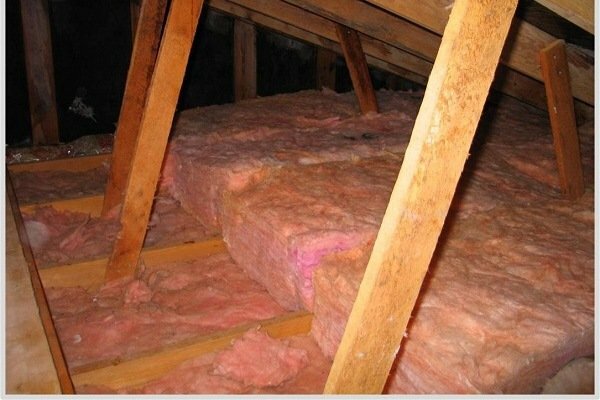 To save money make sure you have the proper level of insulation in both the attic and between the inside walls. Insulation has an R-value measured by the amount of heat allowed to pass through it. The higher the value the less likely heat will escape, resulting in lower energy bills. Heat rises and easily escapes through an attic if not properly insulated. Heat losses can add close to 30 percent to your energy bill too. 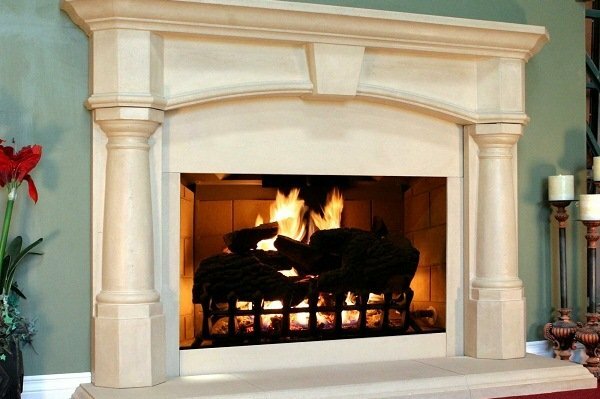 Fireplaces are excellent sources of heat and can warm a room in a matter of minutes. Snuggling with a cup of hot cocoa and a good book in front of a fire is a relaxing way to spend a cold winter evening too. Fireplaces do have their drawbacks, though. Similar to air leaks in drywall and unfinished attic spaces, a fireplace damper left open when not in use is a welcomed invitation for heated air to escape and cold air to funnel into your home. After every use close the damper and more importantly, open it before you decide to enjoy a cozy fire or your home will fill with smoke. 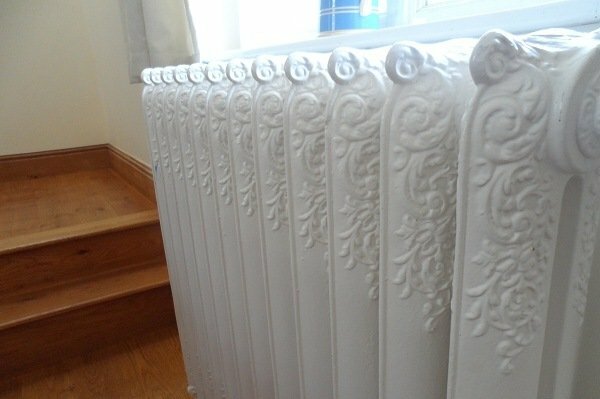 Air vents and radiators can be eyesores in a room; designed to be functional, not pretty. In an effort to be pretty, furniture or window treatments often hide the air vents. Pretty screens can cover the radiators to hide the unsightly monsters also, but these methods only serve to obstruct the airflow, making the furnace work much harder. It is best to accept that they are rather ugly and keep the airflow moving freely throughout the space. One trick that will help to hide these while not hindering airflow is to paint them the same color as the wall or the flooring so they fade into the background. High ceilings are wonderful features in a room, but can increase your heating bills as warm air rises, trapping it close to the ceiling. 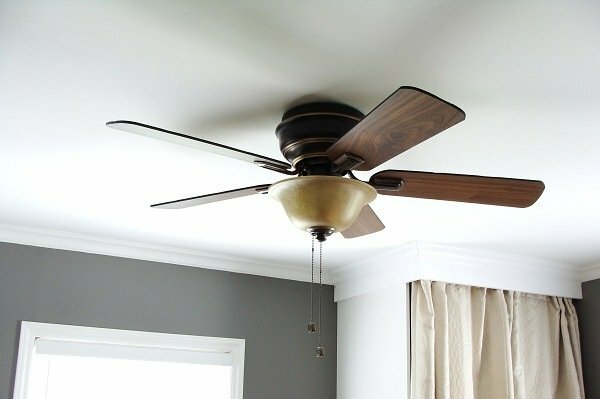 If you have a ceiling fan, change the direction of the blades. Instead of it circulating to cool the hot air set it to push the air downward along the walls by reversing the flow of the fan. Circulating the air back through the room will heat the room more evenly and ease the effort your heater needs to keep the room at a comfortable temperature. 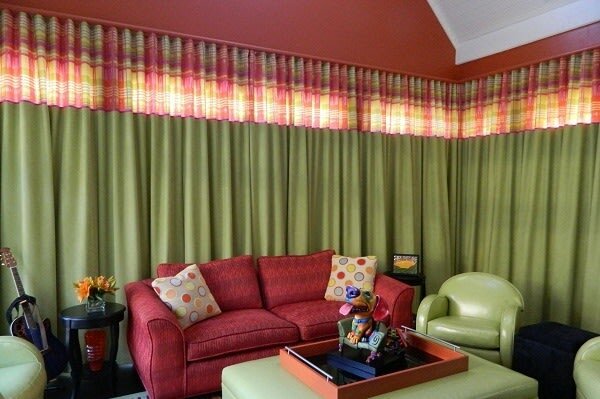 Window treatments are beautiful features in a cozy living room or romantic bedroom, but they can serve a great purpose besides adding color to a space. Full drapes made of a wool cotton blend when opened will let a natural source of heat, the sun, into the room and warm it up. In the evening, as the sun goes down and temperatures dip, closed curtains help to insulate a room from the cold air seeping through the windows. Line the window treatments and you will provide more insulation and another layer to keep out the chill in the evening. 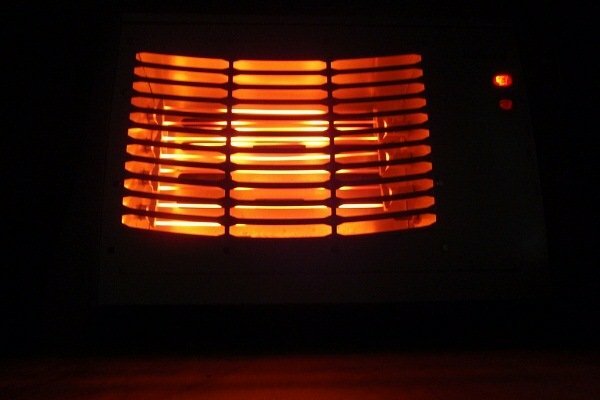 It may seem like a great idea to turn on a space heater for a little extra warmth in a small space, but they pose several threats. First, they are expensive to run regardless of the type. Electrical ones just run up your bill and kerosene can be costly. Second, they are dangerous. All it would take is for someone to knock it over, which could start a fire or cause personal injury. The perceived savings are not worth the risk of burning down the house. Area rugs often add color and style while unifying a space. During the cold winter months, they serve an important function, too. Rugs add another layer of insulation to the floor, trapping the cool air underneath and keeping it from seeping up and cooling the room. The warmth of the rug will keep your feet toasty too.